Address: #01-19/20, Aperia Mall, 12 Kallang Ave, Singapore 339511. With the 1-for-1 promotion offer we saw from the Fave, we bought the vouchers and 4 of us went for the Old Town restaurant located at the Aperia Mall, just opposite of the Lavender MRT, to have our lunch. Seriously, I did not know what is great about this franchise restaurant, as the food is expensive and tasted just as normal as any food courts out there, yet it charged people so much. I ordered the Curry Pan Mian which came with generous amount of noodle, some anchovies, bean sprouts, fried beancurd, sliced barbecue chicken and some fish cakes on top of the noodle. The curry broth was good. 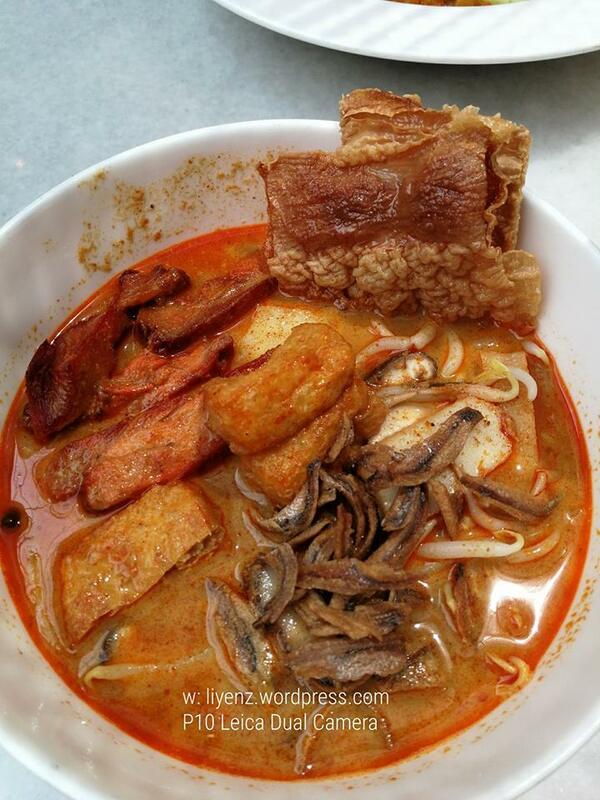 The ingredients were something unusual than the normal curry noodle, however, it looked quite close to the ingredients offered in Malaysia’s Old Town’s branches too. The promotion allowed us to order some of their signature dishes such as Assam Laksa and Nasi Lemak from their ala-carte menu.